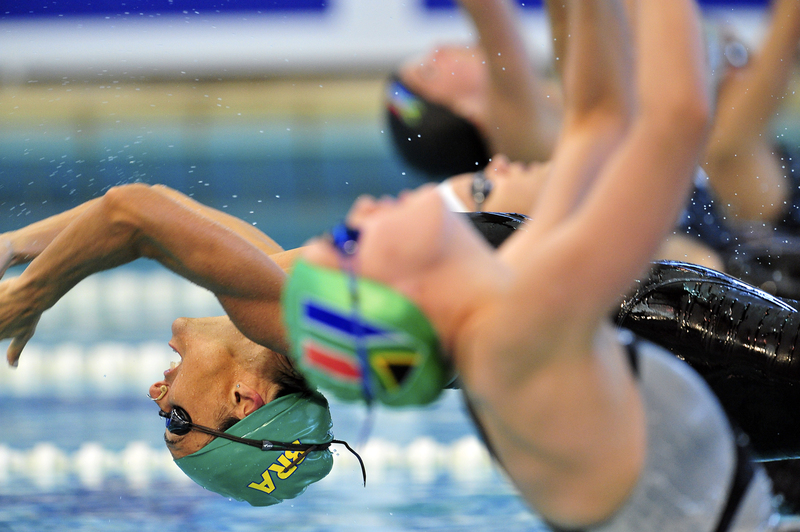 From 18-19 October I covered the South African leg of the Fina/Arena World Cup swimming that took place In Durban. Here is just a few hints on taking swimming photos. First of all, you need a really serious mother of a lens to take really decent swimming photos. By that I mean not less than a 500mm. The reason for this is that if you, for instance, use a 300mm your angle that you are using get too big. Even if you sit down low it will still look like your view point is too high. Sometimes I go up to a 900mm to get a really dramatic feel on my smimmng photos. Secondly, you have to spend a lot of hours by the side of the pool to get your timing right. It is now my eleventh year taking swimming photos and still there is an improvement each year as I gain more experience. The photo below is a standard action swimming photo of Felipe Lima of Brazil. My setting on my D3 were 1/800s at F5. ISO;4000 and the WB on 3850K with the picture Control setting on Vivid. I used a 400mm F2.8 lens and a 1.4 converter. On the next photo of Jean Marie Neethlling, I used a really slow shutter of 1/40s at F8 ISO:640 to get some movement in the photo. In photographic terms this is called panning. To get the result you must use a slow shutter. Move the camera along with the subject very smoothly and press the shutter (while doing this keep on moving with the subject till the shutter closes). This takes a lot of practise to get right so keep on trying. The start of a race always produces good shots. 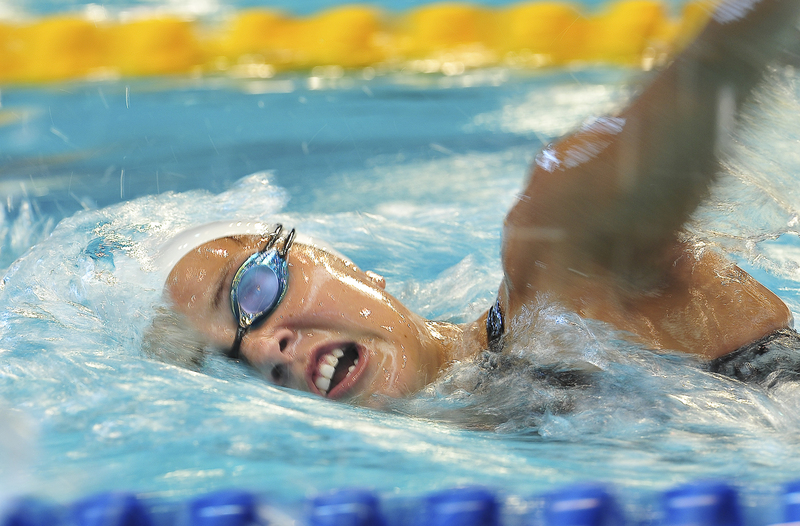 The next photo is of Fabiola Molina of Brazil at a start of a backstroke event. She was in lane 4 which means she was the favorite to win the race. I focussed on her and luckily got the shot where she has her head in front at the start. Copyright on images remain the property of Superimage Media.